We’ve previously taken a close look at Intel’s new Z68 chipset and its unique features, such as Lucid Virtue and Intel Smart Response. Our time with the chipset left us feeling perplexed, however, as it seemed that Z68 was a premium chipset with features that were best suited to a budget build. This led us to conclude that until we saw cheaper Z68 boards, the majority of people would be better served by sticking with a cheaper, more sensibly specified P67-based motherboard. 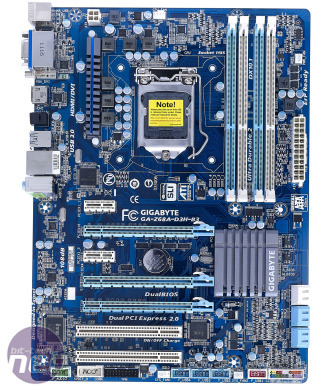 It seems that Gigabyte has made a similar observation too, as the £111 GA-Z68A-D3H-B3 is a Z68 motherboard with a P67 price. This sounds great on paper, but we feared that in practice such a price cut would lead to unwelcome cutbacks, given the extra costs involved with implementing the Z68 chipset. 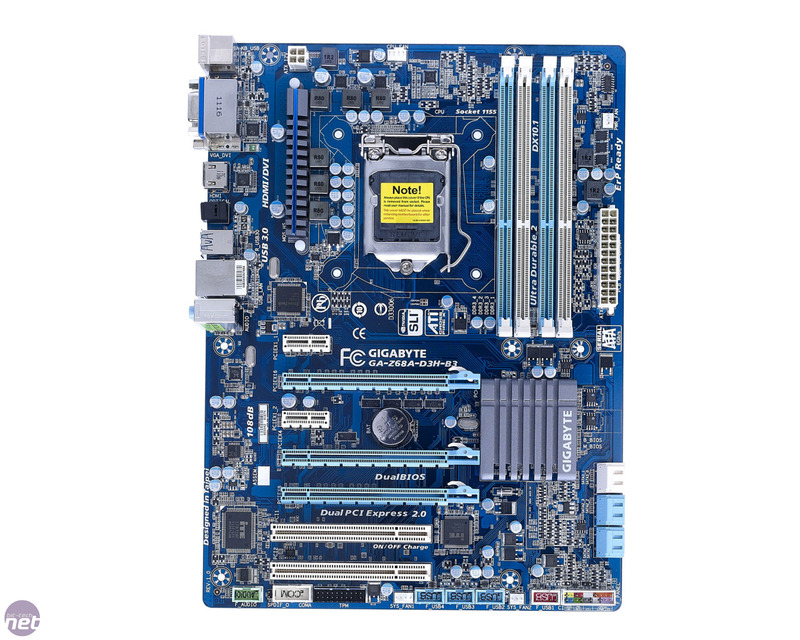 Just where had Gigabyte trimmed the fat to get a Z68 board down to such an affordable level, and would these cuts affect performance? The most obvious area in which Gigabyte has cut costs is in the size of the PCB itself; the D3H is 2cm slimmer than a standard ATX motherboard, so its PCB uses fewer raw materials. The results of the cost-cutting axe can also be seen in the board’s VRM circuitry, which is decidedly more basic than the circuitry you see on similarly priced P67 boards. Even the heatsink cooling the MOSFETs has been scaled down to a tiny size to save costs. The rear I/O pane; also looks decidedly skinny compared with competing boards; it has only four USB 2 ports and three audio jacks. You can configure the latter to act as 5.1 multi-channel outputs, and also enable 7.1-channel audio if you hook up your case's front audio jacks to the motherboard. However, while you can get surround sound from the motherboard, it's not nearly as easy a job as it is with a full rack of audio jacks on the back. At least Gigabyte has made the sensible decision to keep the useful pair of rear-mounted USB 3 ports, meaning that the D3H won’t date too quickly. Thankfully, the D3H isn’t completely bereft of premium features. The pair of SATA 6Gbps and four SATA 3Gbps ports are all aligned parallel with the board for easy cable routeing, and the board also sports three 16x PCI-E slots. However, as with most boards based on Intel 6-series chipsets, this doesn’t mean that you can use three graphics cards in CrossFireX or SLI; the board only supports dual-card configurations with each card receiving eight lanes of PCI-E bandwidth. Complementing the 16x slots are a pair of 1x PCI-E connections and two PCI slots. These are well positioned, meaning that even if you use two GPUs, you’ll still have access to one of each of the secondary connections. Less well positioned, however, are the RAM slots, which are situated very close to the CPU socket as a result of the slimmed-down PCB.